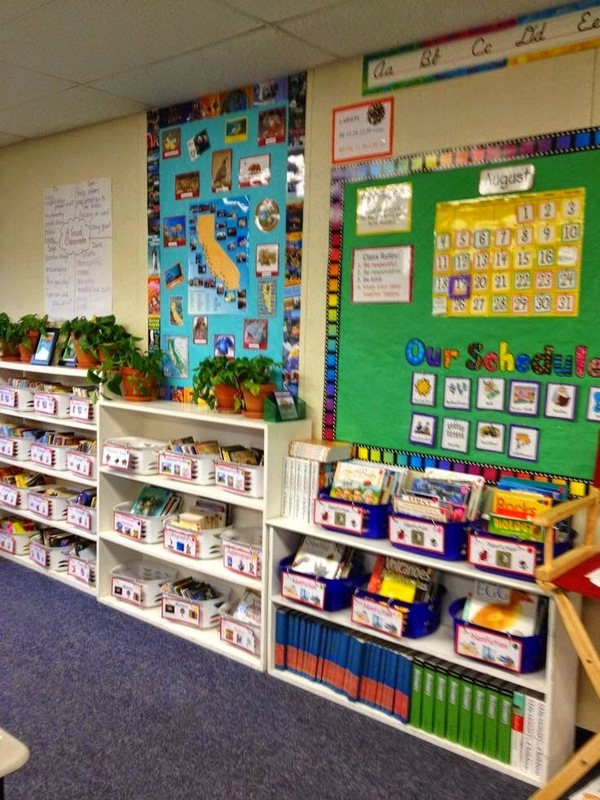 If you've been a teacher any length of time, you know that reading standards come and go. Sure, the important ones hang around, like main idea, finding inferences, and cause and effect, but much more important to me as a teacher is to get kids to LOVE to read (yes, I said love, not like, and not even to tolerate it!). The thing is, when kids enjoy reading, they read a lot and when they read a lot, they become even better readers, and can do all of those reading skills that we so desire. It's almost like magic! So, how do we capture the hearts of those little video game, TV watching, texters? We do it by showing them how much fun reading can be. 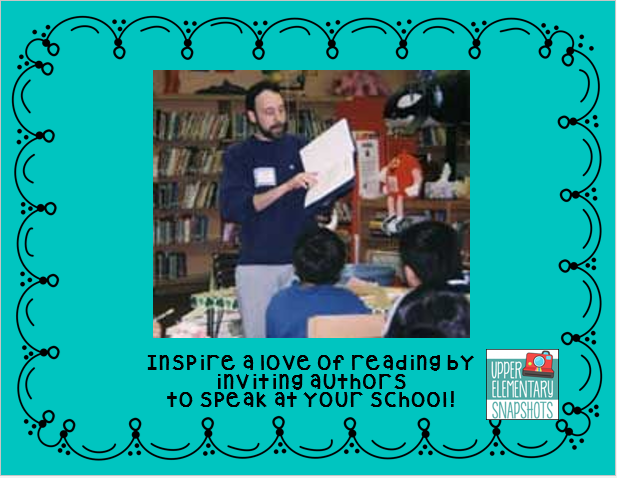 A book talk is when you pick up a book and give the kids a summary of it but present it in such a way that every single kid raises his/her hand to ask you if he/she might be able to read that book next. It's like a mini-advertisement for the book. Do a few a week and you'll find that the kids will start reading hidden gems that are located right in your classroom library. When you have hundreds of good, top quality, current titles, kids are more likely to be attracted to the books and want to read them. 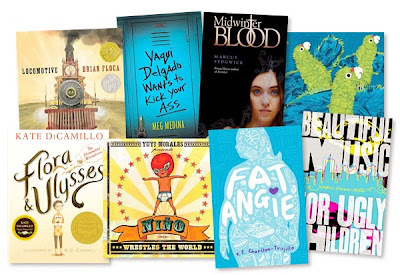 Book orders are a great way to get free books for your classroom and the added bonus is that your students will be getting their own new books to read too. There's just something about being surrounded by shelves of books. Kind of like going to a candy shop, except without all of the calories. Your school library most likely has an even greater selection than your classroom and has something for every child's interests. There is definitely value in having kids listen to a good book, read by a skilled reader. Besides all of the rich vocabulary that can be gleaned (notice the vocabulary word "gleaned"? 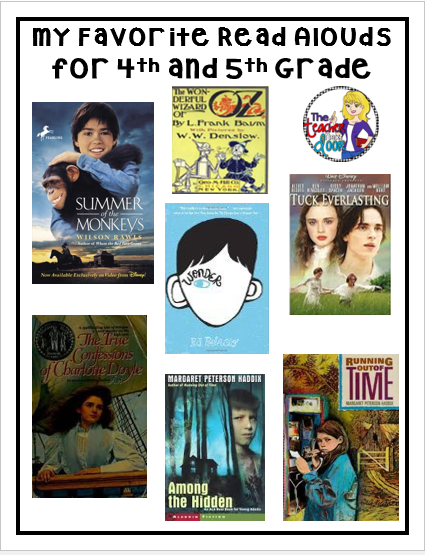 ), kids are able to simply relax and get carried away by a piece of literature. Hearing an exciting, or funny, or heart touching book everyday, they might just realize that books can be an enjoyable way to spend their precious time. 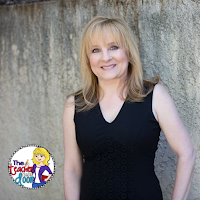 I believe that mini-lessons are the key to an effective reading program and I have seen evidence of how meaningful some of these lessons can be when the kids start to internalize them. I love it when some of the vocabulary that we use during a mini-lesson becomes a natural part of their speech. Words like schema, theme, and text to text connections come rolling off their tongues and all I can think is Good Lord, they DO listen to me. 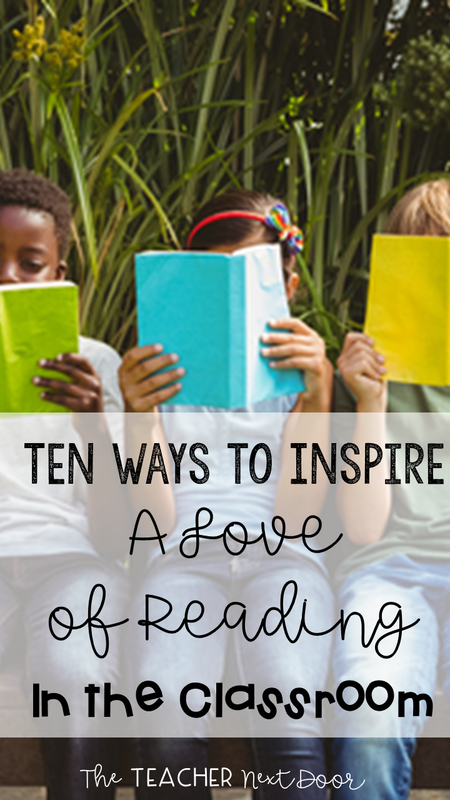 :) These lessons can make a difference not only in their vocabulary and in their ability to read and comprehend text, but if done correctly, it can cause kids to love to read even more. Maybe this should have been number one because I feel that strongly about it. Basal stories can be good and assigning literature is fine, because of course we choose really great books, but there is NOTHING that compares to letting a child read what interests him/her. When kids can select their own books and when we actually build-in time for this into our reading schedule to allow them to read them, I think this is when you really hook a reader. I have two of my own children, a daughter who is 18 and a son who is 24. My daughter has always been an avid reader but my son really preferred anything with a ball, particularly a soccer ball. Now that he has graduated from college, I guess I can let it go (ya think?) but when he was in grade school, it really bothered me. One thing I found with him and have found with all of the not-so-crazy-about-reading kids that I've had over the years, is that it's all about finding that "just right" book or series. So do spend some extra time with these kids, questioning them about what interests them, and then actually finding some books that match their interests for them to try. For my son, it was Artemis Fowl. Whether you have a parent-run lunch book club, do literature circles in the classroom, or even allow kids to share one or two sentences about the book they're reading every few weeks, sharing books is a great way to get kids excited about them. See Scholastic for Details About Available Authors. I know this may sound unrealistic to you, but at my last school, we had a different author come every year during Read Across America Week, and it really got the kids so jazzed up about that author's books and books in general. 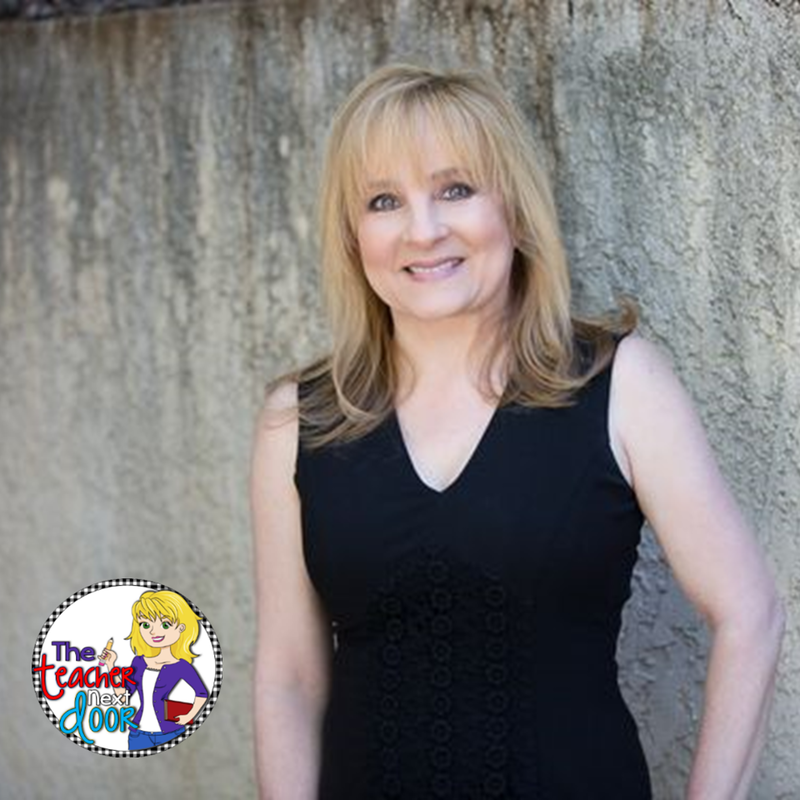 Your PTA or PTO might fund this if they knew how powerful it could be for your students. Why not make a big deal out of an author's birthday, the long awaited sequel to a beloved book, or books that earned the Newbery or Caldecott Awards? 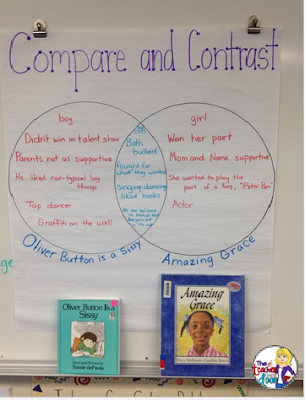 Doing simple things like making bookmarks, having popcorn (if your school allows), watching a movie to compare and contrast it to the book (finally that's got a standard supporting it too) are great ways to show that books have value. It makes them appear less like dusty dinosaurs sitting on the shelf, and more like your favorite cousin, here to have some fun! 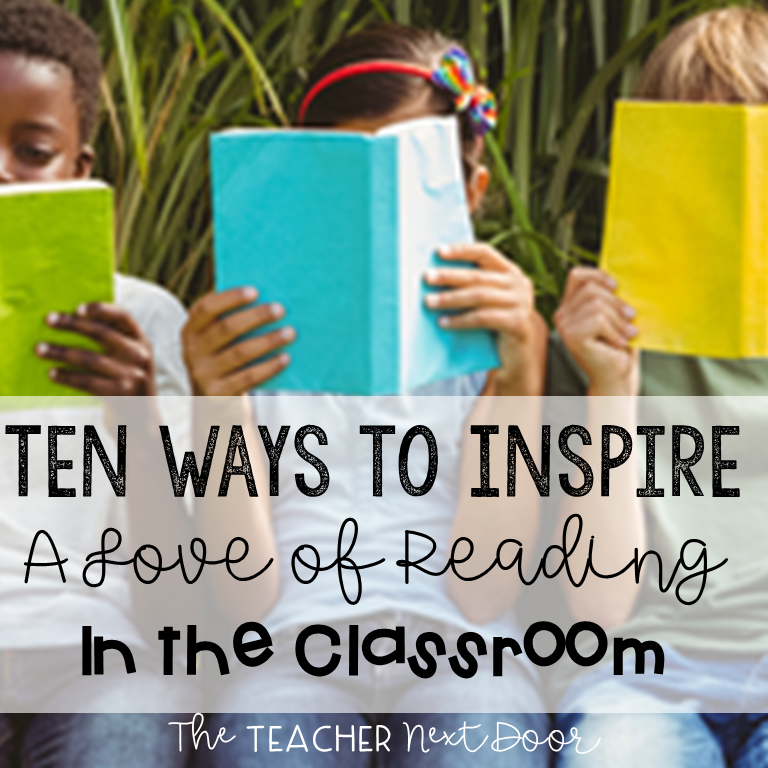 What strategies do you use in your classroom to inspire your readers?